Our personal training program is designed for the individual who has specific fitness goals in mind. 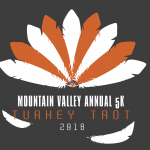 It is aimed toward taking someone from their current fitness level to their desired fitness level in the quickest and safest way possible. 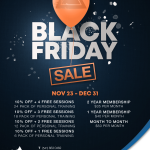 Personal training provides the highest level of accountability and education through individualized program design, consistent instruction, and program monitoring. 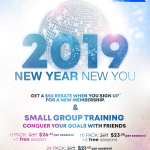 **Small Group training prices shown are per person participating in the Small Group training. Small Group training is defined as 2-6 people working under 1 trainer for 1 hour at a specific time for guided fitness goals. Small Group training is a great way to work out with a friend or family member and still receive professional guidance from our training staff. Our personal training programs are for the individual who wants guaranteed results and wishes to eliminate the guess work. We use a 5 component, scientific based, progressive training method to assist our clients in taking their fitness to the next level. Nutrition is the first component for a reason. A proper meal plan is the most important factor in achieving results in the gym, and can account for up to 70% of one’s success. We utilize DietMaster Pro, a registered dietitian program to design our individualized, detailed meal plans. Each plan reflects the proper amount of calories, the correct ratio of proteins/carbs/fats, and the exact timing of each meal. We also provide an exchange system that allows you to choose from a variety of foods while still adhering to the program. Cardiovascular exercise is important for overall health and weight management. We will design a cardio program for you that is most conducive to your goal. We use the F.I.T.T (Frequency, Intensity, Time, and Type) variables to initiate the cardio regimen and we can manipulate these variables along the way over time so that the program is progressive and we can also avoid overtraining and work out plateaus. Weight training is essential to build lean body mass and to burn body fat. Different individuals have different goals and their resistance training routine needs to reflect this. We will design a weight training routine that will get you to your goals quickly and safely. Proper supplementation is a key element in a complete health and fitness program. In order for the body to achieve maximal results, it must be well nourished. This will create the ideal environment inside the body for change. The supplement regimen must be a complimentary component to the nutrition and exercise plans. We will make a supplement recommendation for you that will fill the gaps in your nutrition and will help you to achieve faster results. This is the job of the fitness professional to design a program around the individual that will get them to their goals quickly and safely. Our goal as trainers is to not only take a person from point A to point B, but to educate them as well. We want to turn our clients into their own personal trainers so that they can maintain a life time of fitness on their own. 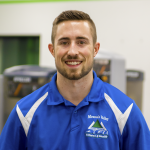 Cody is not new to Personal Training and worked at MVFH while attending EOU. Cody then stepped aside to complete his goal and degree in Exercise Science. Cody’s attitude to “make the world a better place” begins with his passion for body transformation through muscle gain, weight loss and body sculpting. When not in the gym, you will find Cody in a variety of outdoor activities and sports, snowboarding or target shooting. It has also been said that Cody has a secret skill as the “dog whisperer.” Visit with Cody for weight loss/muscle gain and phenomenal body sculpting techniques. Summer is passionate about bringing a holistic approach to fitness – breath, balance, strength, and nutrition. It all matters! She is a Certified Fitness Trainer and Specialist in Fitness Nutrition and is currently studying to become a Physical Therapist. 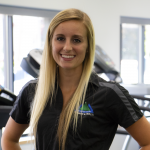 Summer has been working in the fitness industry since 2003 and has a wide array of experiences, but she specializes in athletes and corrective exercise to restore strength and balance after injury or long periods of inactivity. Her own favorite forms of exercise is training for a Spartan Race, martial arts, and road cycling. Cally has been a long-term resident of La Grande, moving from Yakima at age 6. Cally attended La Grande schools and EOU where she received her Bachelor in Arts and Education. 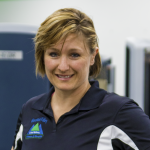 She enjoys teaching, coaching and helping people succeed in accomplishing their athletic/fitness goals. Maybe you know Cally from her years of community service coaching basketball, volleyball and softball as well as leading mission trips through Youth for Christ and teaching art and her involvement with Scouting. Cally and her husband, Mark enjoy golfing, outdoor activities and spending time at their mountain cabin. They also enjoy spending time with their 3 grown children and 3 grandkids. 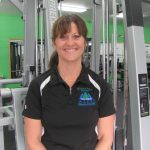 Cally is passionate about fitness and helping a variety of fitness levels and age groups to make their goals achievable. 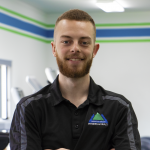 Ian is passionate about physical therapy and basketball and his ultimate goal is to become a Physical Therapist. Before deciding he wanted to become a personal trainer, Ian was a gym aide over at Mountain Valley Therapy. Ian is well known for his impersonations and his love of Brad Pitt. Seriously…he put down Brad Pitt as not only his hero but also his secret weakness. Ian has a cat named Kitten Jones (aka KJ) who is the “must have” in his life. 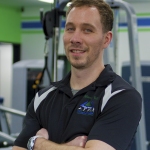 Ian specializes in sports specific training and post physical therapy training. On the weekends, he enjoys being lazy, playing basketball, watching marvel movies, and avoiding horses at all costs. 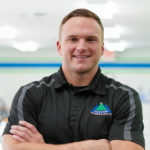 Michael Cooney specializes in aquatics, explosive performance, and calisthenics. Formerly a gym aide at Mountain Valley Therapy, Michael possesses his NASM certification and is now a trainer at Mountain Valley Fitness & Health. Michael has saved his best friend from drowning once and wants his next adventure to be climbing the Himalayas and visiting a Monastery. 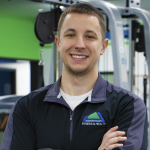 Outside of personal training, Michael enjoys Hiking Swimming, Cliff jumping, video games, traveling, and climbing. 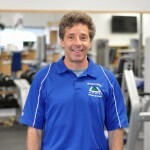 Gabe is the newest addition to our Mountain Valley Fitness & Health family! Previously a football player at Eastern Oregon University, he comes to us as a student who is close to finishing up his college degree. His favorite food is a McDonald’s quarter pounder with cheese- even if he is a personal trainer! Gabe has always wanted to be in a Hollywood production, which is probably why Chris Pratt is his favorite actor. If he wasn’t a personal trainer, he would want to be an astrophysicist for NASA. Gabe doesn’t have a lot of tolerance for using excuses to get out of responsibilities or hard work, so you know he will push you as a trainer to be better and get the most out of your workout!